Benefits Of Meditation - Why Meditate? 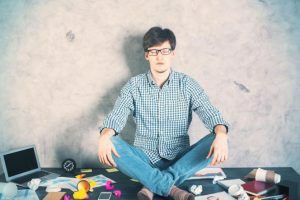 If you’re new to meditation and you’re not yet sure about whether it’s for you or not, then your ‘why’ will be what motivated you to give it a go. For most people this will have to do with having less stress, more happiness and peace of mind. When I first got into meditation it was because I was having panic attacks and anxiety brought on by severe hardship in life circumstances. I didn’t want to take medication for it as to me that wouldn’t have dealt with what was causing it, so I began to research how anxiety worked and what could be done about it. That led me to studying the nature of the mind and how meditation could help break free from anxiety loops that fearful thoughts kept re-creating. I was hooked from my very first meditation. I had never experienced such a deep sense of calm and peace by doing something so simple. As time progressed and I found it easier to increase the amount of time I meditated. I started out with 20 minutes and day and worked up to an hour of silent sitting meditation. After a couple of years of sitting meditation I decided to branch out and study a variety of different meditation techniques that all claimed to work on different parts of your life. Some meditations were to help relax the body and experience a deep calm, whereas others were focused on specific things such as wealth creation, healing the body, being more compassionate, opening to deeper self-love, more intimate relationships and even spiritual awakening. I never dreamed that meditation could have such a wide impact on so many different aspects of my life. What was even more mind-blowing was that typically within 7 days of starting a new meditation I would start seeing the results of doing them show up in my life. While there are numerous scientific studies that definitively show that meditation is good for your mental and physical health, I’m a firm believer that common sense is also good for your health. If you are constantly stressed, work ridiculous hours, don’t eat well, and rarely get a good nights sleep, then no amount of meditation will help. Along with meditating to quiet the mind and help slow us down for awhile so we can unplug from the world around us, we also need to be making sure that we are not driving ourselves into an early grave. I see so many people who are always rushing around doing things all the time but they seem to neglect the one thing that really matters and that’s themselves. There’s absolutely no need to ever rush no matter whats going on in your life and in fact rushing does more to create stress and accidents than just about anything else. So why would an intelligent human being feel the need to live a-in a constant state of chaos? The only reason I can think of is because they have become accustomed to it. Just like if you put a frog into a pot of boiling water it will jump straight out, yet if you put it into a pot of cool water and slowly heat it up, it will boil – people are just the same. We get conditioned to our way of life. Even if that looks like being constantly over-stimulated, overwhelmed, and overly distracted. All of which causes our mind and body to go into over-drive which results in stress and tension building up inside us. If this stress and tension is not released then eventually it will have a negative impact on both our inner and outer worlds. Meditation is just one of the ways that we can reduce stress and tension in the mind and body. For it to be effective though we have to be disciplined enough to meditate every day for at least 20 minutes a day. If you’re life is relatively stress free then you could get away with less time meditating, if you need it at all but that’s more an exception than a rule. When I was in my early 20’s I used to work hard all week and party hard on the weekends. The result was that I was often sick and not able to function at my peak effectiveness in any area of my life. After I started meditating I instantly felt calmer on the inside. This eventually led to working for myself and becoming a conscious entrepreneur. To me the main benefit of daily meditation is who we become as a person as a result of learning to meditate. After 20+ years of meditation I have become a calmer, wiser, happier, healthier and more loving human being, who gets to get paid for what I love to do and serves others in the process to achieve the same. I see the real benefits of meditation as freeing up the mind and creating a deeper connection with a more authentic version of yourself. This version is one that lives more from their heart than their head and trusts their instincts implicitly. So if living your true potential is of interest to you, then perhaps you should give meditation a go. 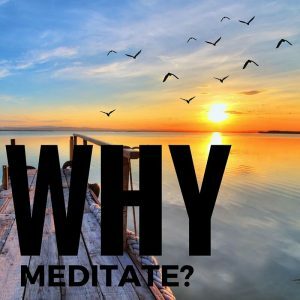 https://www.meditationdojo.com/wp-content/uploads/2016/06/why-meditate-featured.jpg 300 700 Michael Atma http://www.meditationdojo.com/wp-content/uploads/2017/01/Meditation-Dojo-2017-5-300x77.png Michael Atma2016-06-23 07:53:122016-10-10 03:50:45Why Meditate?